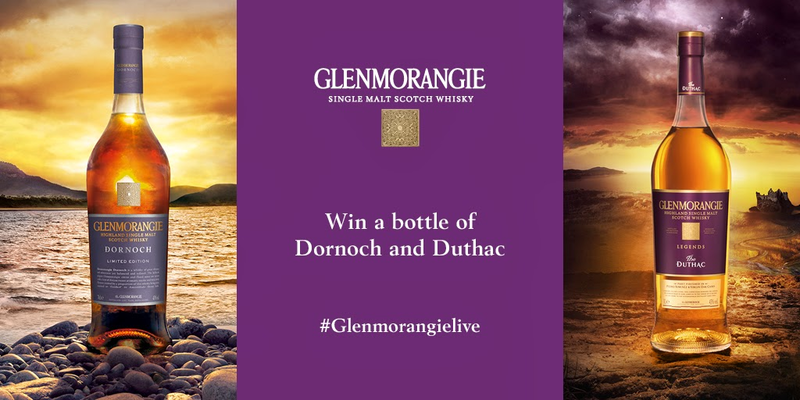 Following the huge success of last night’s Glenmorangie Live Twitter tasting, which we were thrilled to host alongside Dr Bill Lumsden, Glenmorangie's Head of Distilling & Whisky Creation, we’re delighted to be teaming up with The Glenmorangie to offer one of our Twitter followers the chance of winning a set of their latest travel retail exclusives. To be in with a chance of winning a bottle of Glenmorangie Dornoch - which takes its name from the Dornoch Firth where the distillery sits and has been made with a combination of whiskies aged in ex-bourbon casks, married with lightly-peated spirit and matured in ex-Amontillado casks, along with a bottle of Glenmorangie Duthac - the first release from their new Legends series, which has been part-finished in Pedro Ximénez sherry casks, just pop on over to Twitter and RT any of our competition related tweets and follow both @TheWhiskyWire and @TheGlenmorangie for your chance to win! t’s & c’s: Competition open to over 18’s only - Competition closes on May 15th at 23:59.